Deputy leader of the Indigenous People of Biafra, Uche Mefor, has dismissed reports that the leader of the pro-Biafra separatist group Nnamdi Kanu promised to oust President Muhammadu Buhari out of office in 2019. A former minister of aviation, Femi Fani-Kayode claimed Kanu called him and promised to work against the reelection of Buhari in 2019. “I just received a call from my brother Nnamdi Kanu. I am delighted that he is alive and well. I commend his strength and courage even as I marvel at the loyalty, resilience and commitment of his lawyer Ifeanyi Ejiofor and IPOB. We have agreed to work together to VOTE Buhari out,” Fani Kayode said on Twitter. Less than 24hours after Fani-Kayode made his claim, the IPOB deputy leader said in a statement that the former aviation minister’s declaration was a “crude tactics” in an attempt to drag the name of the IPOB’s leader in the mud. 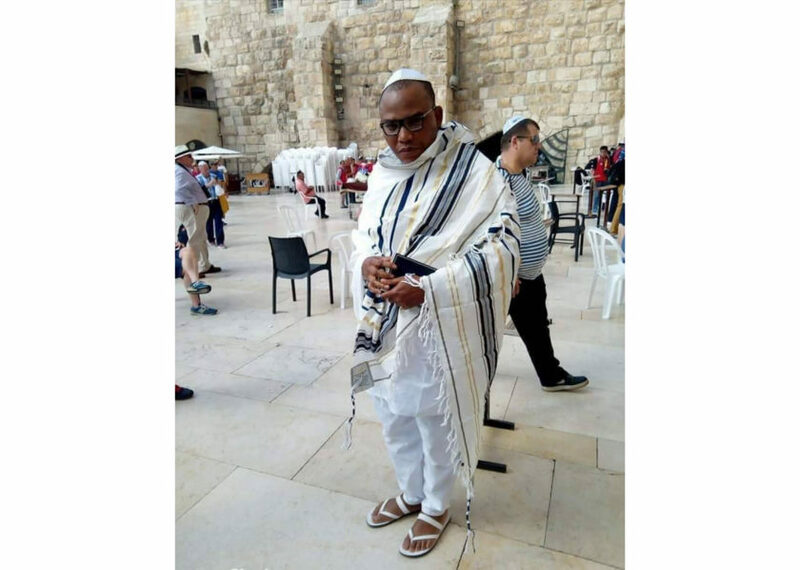 “We want to use this medium to state unequivocally that at no time did Nnamdi Kanu reach any agreement with any politician to participate in Nigerian politics,” Mefor said. Mefor said, “Kanu is on a divine mission to restore Biafra and the resolve behind this restoration project remains irrevocable, sacrosanct and irreversible. Before Fani-Kayode made his claims a presidential candidate Eunice Atuejide alleged that the resurfacing of the pro-Biafra leader was other political tactics to boost Buhari’s reelection. “Now that elections are nearing, he resurfaces. And he will surely tell a brave tale of his miraculous escape from the pythons. Ala gba gbu kwa gi there this guy!???? Next we know now, he will be telling the undiscerning Igbos not to come out an masse to vote out Buhari,” Atuejide said in a statement on Facebook. Atuejide claimed Kanu was paid by the Nigerian government and advised him to steer clear of Nigeria. “Chop your money oh, enjoy your life in Jerusalem or wherever on earth they settled you at, but leave our country out of your evil schemes,” she affirmed.